Are you an artist or designer interested in creating and giving back to your community through your love of creativity? 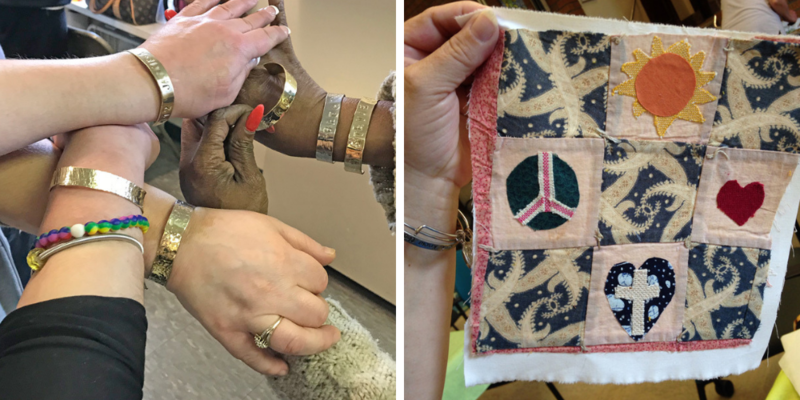 Teaching artist and independent designer Amber Coppings is doing just that and today she’s sharing part one of a three-part series on the details about her artist residency at the POWER House, a residential facility for women in recovery from drug and alcohol addiction. 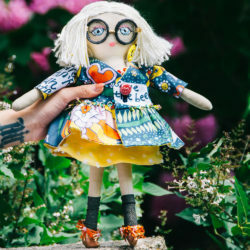 Keep reading to see how she partnered with Spoonflower and how you can do the same in your community. Amber: Hello! My name is Amber Coppings and I am an artist who not only creates and sells art and design work, but who also teaches. Being a teaching artist has been a driving force in my creative life since the very first class I taught in 2002: Thursday evening art classes for children in a homeless shelter. Since then, I have taught thousands of people in many programs, workshops, and artist residencies in schools and community organizations. Currently, I am the Artist-in-Residence at the POWER House, a residential facility for women in recovery from drug and alcohol addiction. The POWER Artist Residency Project’s seeds were planted in 2012 when I was invited by POWER to become a part of the POWER Collection, a group of artists in the Pittsburgh, Pennsylvania region that create and sell work inspired by POWER with proceeds shared between the organization and the artists. POWER has always seen the Collection as a way to include the POWER clients in the art-making process, but did not know how to create the scenario where this could work. With my background as a teaching artist, it seemed like a natural fit to bring my professional skills to the women in the POWER House and create an arts program. After applying for grants and being approved for funding, we began our first POWER Artist Residency Project in 2016. October 2018 marked the beginning of our 3rd year of arts programming at the POWER House! 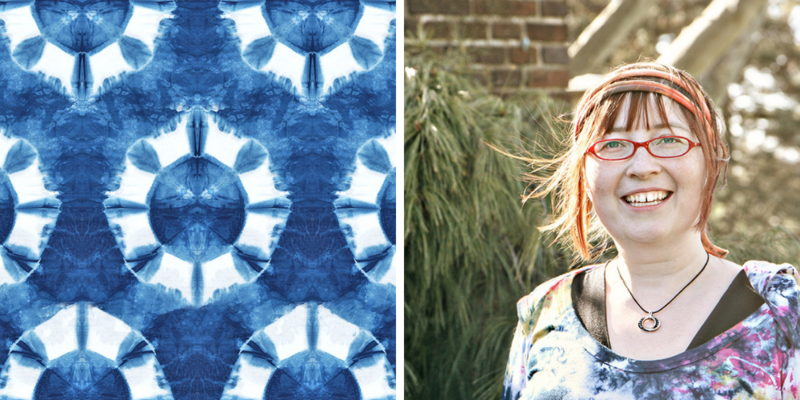 to my background as an artist, surface pattern designer, and fashion accessories maker. 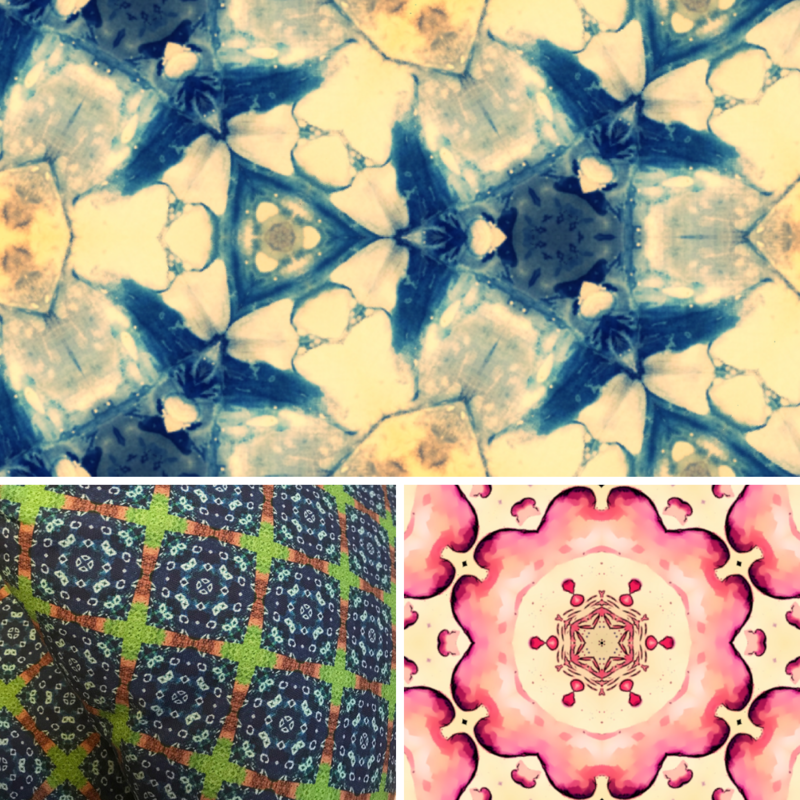 POWER House women turn their shibori designs into digital designs for fabric printing. Custom greeting card sets designed by the Power House women. All artists, both professional and beginner can be entrepreneurs and community builders. 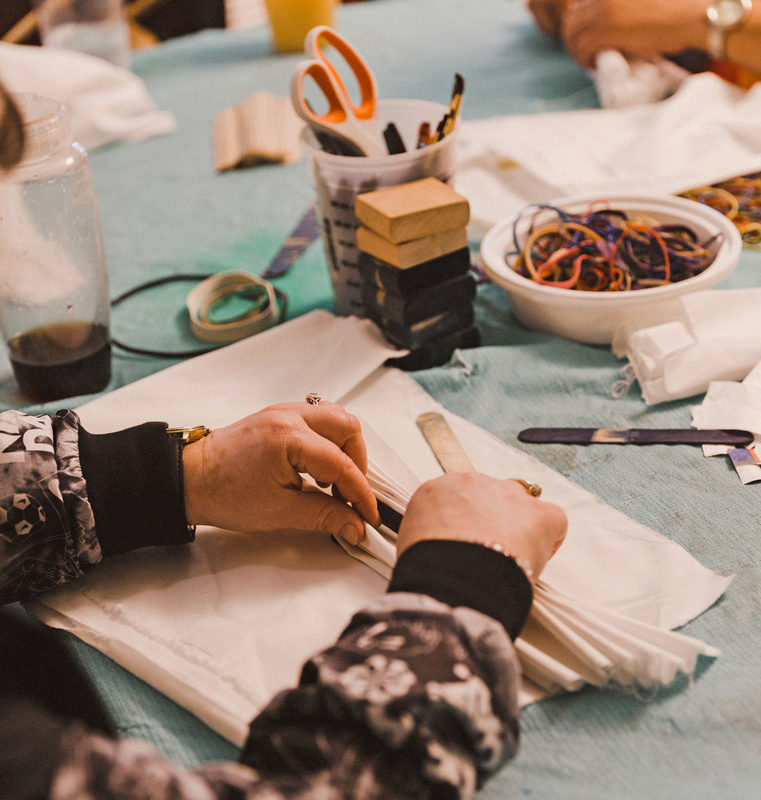 As a part of our work together, the women create items that can be sold through the POWER Collection, develop pricing strategies and marketing plans, and sometimes even sell the group’s artwork at local craft fairs. 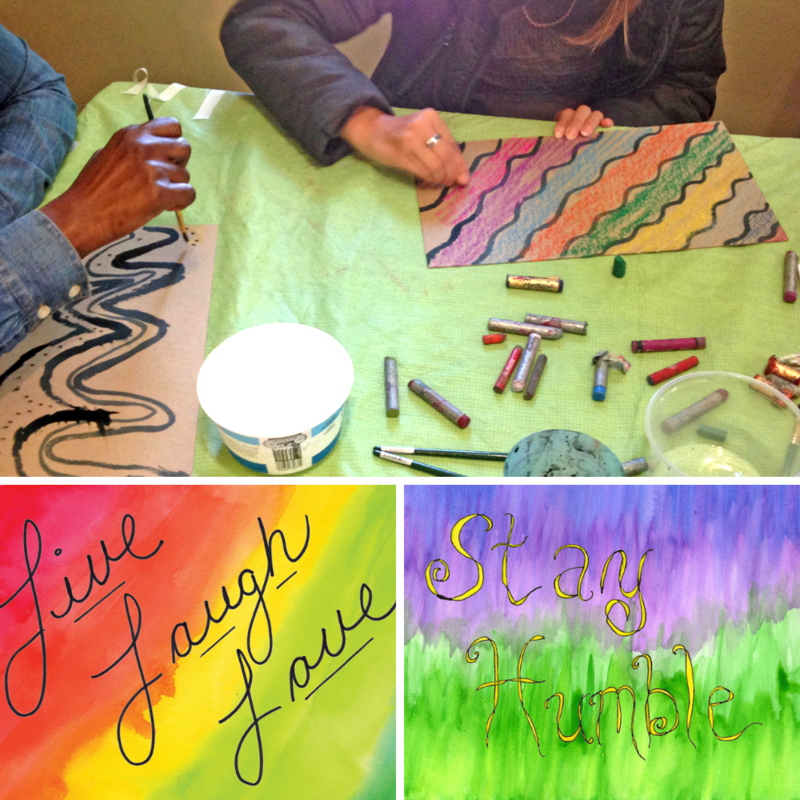 Leaving a legacy through their artwork for future women in recovery is a popular theme. We now have artwork in every bedroom in the POWER House, most of the common areas, in the POWER administration and outpatient areas, and may soon have our artwork in the Allegheny County Courthouse, which we hope will bring a small comfort to those who need to go through those doors. 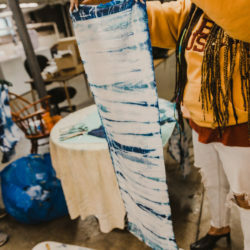 In my next guest blog post I will give you an in-depth look into one of the POWER women’s favorite lessons: Hand-dyeing fabrics using Japanese shibori techniques and translating our handmade designs into digital repeats! 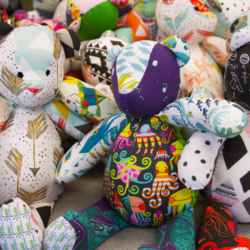 See how the Spoonflower community is crafting for a cause. Thanks, Virginia! I appreciate your comment very much. I was thrilled when I came across this blog , to my surprise one of my many projects that I made while staying at power was posted . I am so greatful for amber and the other ladies that would come and teach us art . We always looked forward to our classes , from tye dying ,making jewelry to making prints and having them made into material, the creativity she taught us just goes on & on . We all have some form of a creative side & she helps bring it out . I am so proud to be a graduate of power , it’s a great program & I am so glad that they incorporated art as a part of our recovery. I am forever greatful thank you lady’s …..
Brenda! So wonderful to read this today! I miss you being in class. You invigorated everyone around you with your creativity! I hope to see you in one of our alumni art groups. Will keep you posted! I am so glad you were a part of the program, Brenda! You always brought such enthusiasm and artistic thoughtfulness to class. I hope I get to work with you again in a POWER alum art class!